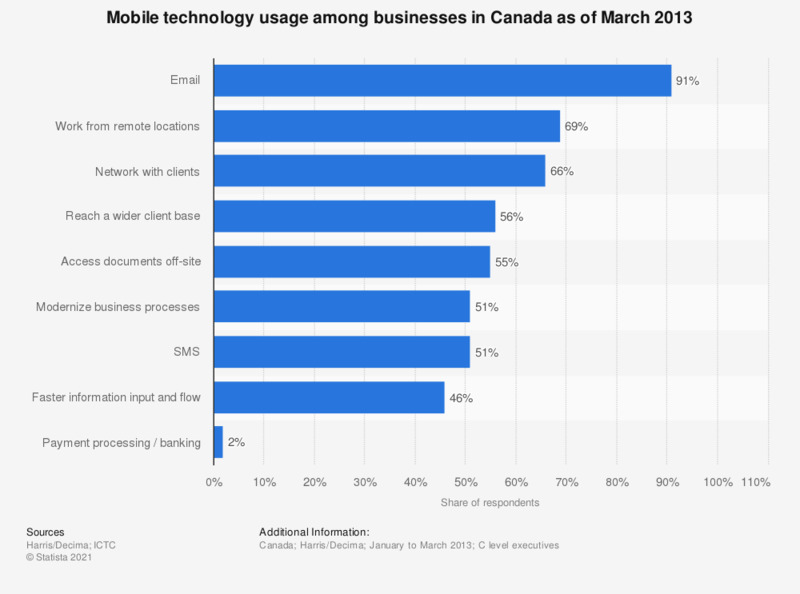 This statistic shows the responses to a survey regarding mobile technologies among businesses in Canada as of June 2013. During the reported period, 69 percent of Canadian businesses stated that their companies used mobile technologies to enable employees to work from remote locations. Study does not provide number of respondents, but was conducted among a sampling of executives from 400 Canadian enterprises.